Caption slip reads: "Photographer: Glickman. Date: 1957-07-24. Assignment: Car vs. train, Chatsworth. 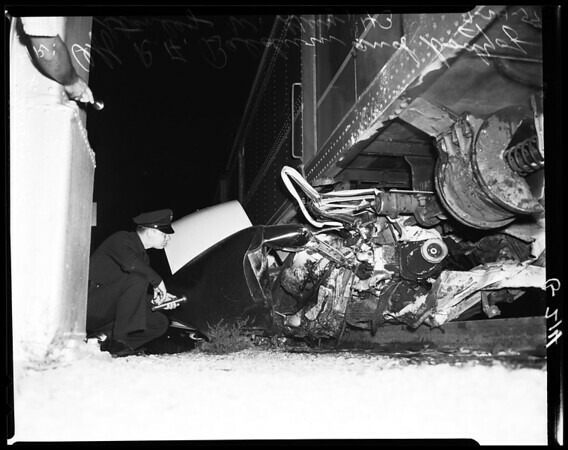 G 9-10, 214-215: Officer R.A. Baldwin looks at wreckage of car, and body of Stanley W. Guy, 43, of 14030 Otsego St. Sherman Oaks."